Following the (large) footsteps of the Studio 5.3 Android smartphone BLU Products announced the VIVO 4.3. The Android Ice Cream Sandwich smartphone offers dual-core, dual-SIM functionality, to go with good looks and low price tag. The BLU VIVO 4.3 features a dual-core Cortex-A9 CPU and MediaTek MT6577 chipset. The GPU is PowerVR SGX531. There's a gig of RAM and 4GB of built-in memory which can be further expanded via microSD card. One of the most pleasant surprises in the BLU VIVO 4.3's spec sheet is the presence of a 4.3" Super AMOLED Plus display with WVGA resolution. An 8MP camera with 720p video recording, 1600mAh battery and customizable Android 4.0 Ice Cream Sandwich complete the highlights of the device's spec sheet. 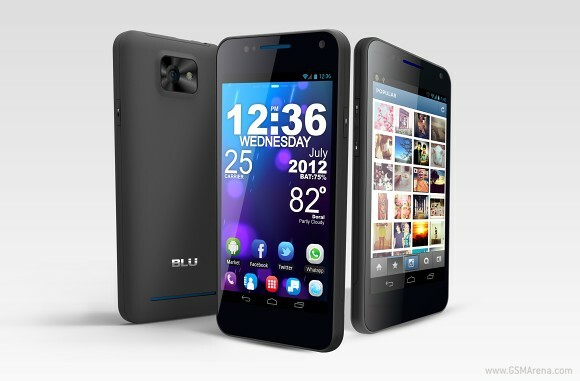 The BLU VIVO 4.3 will hit the shelves of major US retailers in September, priced at the sweet $249.99 without contract. Latin America and parts of Asia will soon follow. is it available at malaysia ? what should be the price of this mobile ? when this mobile will launch in india?